I had the pleasure of meeting with a young Latina who was recently admitted to law school, who asked me why I decided to open my own law office. As I reflected on this life changing decision, I realized that there is no simple answer. Your own personal journey and experiences shape your life decisions. If you sit back and reflect, the right path to embark on will come to you. Have you ever been asked (or have asked) how you knew the man you married was the one? Most people say, “I just knew.” I opened my own law office because I just knew. It was the right time in my life. All of my relevant life experiences aligned at the right moment in time. My decision to open my own law practice stemmed from my lifelong passion to serve the immigrant community. My parents immigrated to the United States from Mexico in the 1970s and became Legal Permanent Residents through the 1986 Amnesty Program. I remember playing in the courtyard at the Center for Employment Training (CET) in San Jose while my parents attended the 40 hour civics education course to obtain their residency, never knowing that I would one day return to CET as the Legal Services Manager for the Immigration and Citizenship Program. Throughout my education and work history, I gravitated towards the non-profit, legal services sector. Serving the immigrant population brought me great joy and fulfillment. I never once questioned that this was my vocation. However, aside from an excerpt I wrote in college, I never dreamed or imagined that I would one day open my own law firm. Once at CET in my full-time attorney position, I witnessed a great need for Spanish-speaking, Latina immigration attorneys in solo practice. Many low-income individuals needed specialized assistance for complicated immigration matters that we were unable to handle due to issues of capacity and experience. Through this realization, I pondered what it would mean for me to leave my dream job and open my own practice. However, I was daunted by a myriad of concerns. How will I get clients? Will I be able to pay my expenses? And I also came to a different and difficult realization that my dream job came with a different reality: lower pay, longer hours, and a challenging work/life balance. Through it all, my commitment to providing immigration legal services to the most vulnerable in our community remained steadfast. Then one day, I just knew. The day after Valentine’s Day in 2012, I gave my one month resignation and officially launched my law practice on April 1, 2012. Three years later, it is a decision I have never regretted. In that moment in time, I pushed forward and never doubted that I would succeed in fulfilling my vocation: to help the immigrant community. Every day that enter my law office, I am humbled that I get to do my life’s work, that I meet amazing individuals that have persevered in a foreign country, and that against all odds remain optimistic about their future and their children’s future. My clients gave me hope and resilience that one day we will live in a country that truly respects the rights of immigrants to live with legal status and without fear of deportation. I am also fortunate to work alongside highly intelligent and articulate legal assistants and college interns that also seek to better the lives of our immigrant community. I hope in turn they lead our country to a better future for our immigrants. It is a great privilege to provide my clients with knowledge of their legal rights and to provide legal services to assist them in gaining legal status in the United States. I feel an immense joy knowing that I am able to provide them with an understanding of the immigration process. As a Latina small business owner, I get to work on my own terms and serve my community. There is no better sense of fulfillment than knowing your experiences led you to this moment. 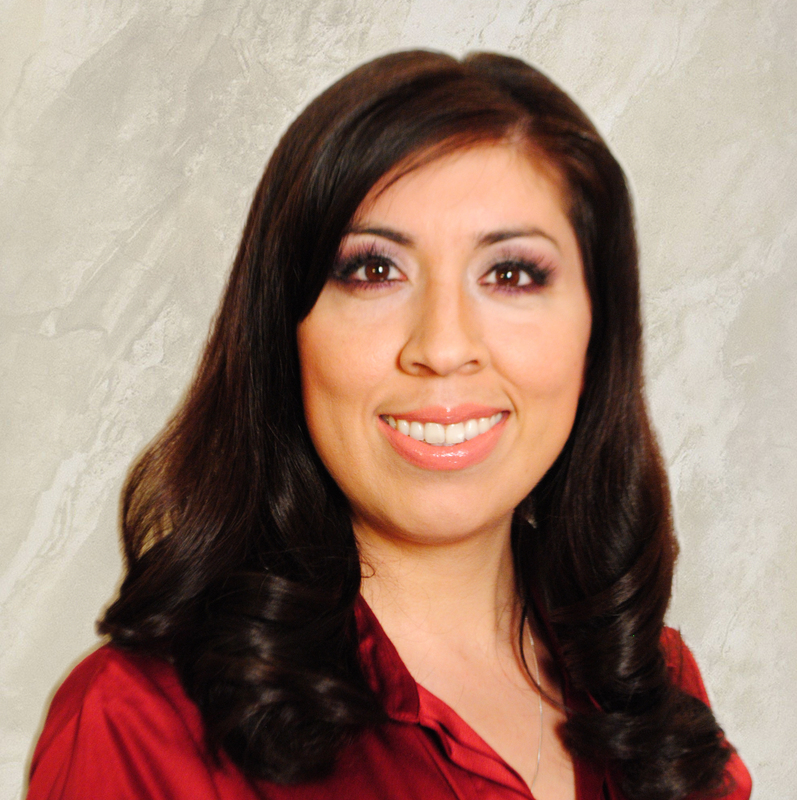 Patricia D. Castorena, HLI 2011, is the principal at The Law Office of Patricia D. Castorena which serves and educates the immigrant community through premier legal representation. Ms. Castorena’s law office specializes in family-based immigration matters, consular processing, adjustment of status, hardship waivers, naturalization, DACA, U Visas, removal defense, criminal and traffic defense, and record clearances. More than 300 Latinas converged at California’s Capitol to advocate for improving college pathways, removing barriers to good health for children, improving the quality of health for women, and increasing internet access for all communities. The 16th annual Latina Action Day was marked by the commitment, knowledge, and ambition of high school and college students, and professionals of all ages, who visited over 120 legislative and agency offices to make their voices heard. Latina issues are Californian issues. Many Latina Action Day speakers and guests of honor reminded of this important concept. With approximately half of all babies in California being born to Latina mothers, advocacy for our community is as important now as ever. Among the many issues addressed by this group of ewomen, participants in HOPE’s Leadership Institute are speaking with legislators directly about four specific bills: HOPE supports AB 1825 (De La Torre), which would require insurance companies to the provide maternity services. A bill to limit electrolyte replacement drinks from being sold at schools, SB1255 (Padilla), is also being strongly supported. SB 974 (Steinberg) is a promising bill that would create a fiscal incentive for California’s businesses to enter into partnerships with middle and high school students to increase career pathways, and which HOPE is maintaining a “watch” position on. Lastly, SB 381 (Wright) prohibits schools from adopting A-G requirements unless the district also requires career and technical education (CTE) courses — HOPE does not support this bill. Powerful and personal stories were shared throughout the day. Here, Hilda Morales describes her experience of attending a community community college to prepare her for a successful transfer to UC Berkley. Check out all of these stories on HOPE’s YouTube channel: http://www.youtube.com/hopeactvotevideopetition. Using our voices, knowledge, and technology, the women of Latina Action Day made their important stories known in Sacramento, and will no doubt continue working year-round to improve the status of Latinas and all Californians. One issue affecting my community in the current budget crisis is the closing of a TRIO student support services unit at UC Irvine, my alma mater. The Student Academic Advancement Services Office is funded in part by a federal grant that is awarded to meet specific proposal requirements to serve first generation and low income undergraduates. What makes this program closure problematic is that the Student Academic Advancement Services receives federal funds, and changing a program abruptly without a plan in place could jeopardize those much needed dollars. Federal TRIO programs were established in the 1960s as part of President Johnson’s War on Poverty agenda. Federal grant programs, such as Student Academic Advancement Services (SAAS), have to adhere to strict proposal requirements, and ironically this program has secured federal funds to run through the next academic year, so why is it being closed? On July 30, 2009, the Dean of Undergraduate Education, Sharon Salinger, informed the Student Academic Advancement Office that it would be shut down on August 31 due to University budget cuts. This office has staff with approximately 100 combined years of experience providing services to this at-risk population of college students and has been referred to as a model program by independent auditors. First generation and low income undergraduates are often at risk of not completing college because they lack the familial support systems and networks to help them succeed. Undergraduates who come from families with parents who haven’t even been to college often don’t know where to begin to seek resources to support their educational experiences. This is where offices like SAAS come in. SAAS provides key college acculturation programs such as Summer Bridge, peer counseling workshops, access to information about test preparation, research opportunities, and support to apply for graduate school. In addition to these services, the office staff is diverse. First generation and low income students can be any ethnicity, but often, in the Golden State, they are students of color. Having role models and counselors who come from similar circumstances is often a positive reminder of what these students can achieve. Dean Sharon Salinger has repeatedly cited the state budget crisis as the reason for closing the SAAS offices, but funds from the federal government have already been secured for the upcoming school year under a proposal written by the existing staff. Why would the Dean jeopardize these funds by closing an office that has performed successfully for over 30 years on the UC Irvine campus with such vast experience? Isn’t this maneuver akin to GOP governors trying to refuse federal stimulus funds? I think so because Dean Salinger, a Professor of Humanities with expertise on colonial taverns and social drinking, does not prior have professional experience working with TRIO programs, as described on her official faculty profile. More importantly, Salinger has not offered an alternative plan to the existing successful program. First generation and low income undergraduates at UC Irvine deserve more. They have crossed many hurdles to get to the state’s premiere public higher education system. Many have been seeing SAAS counselors and mentors for a while and have built rapports with the professional and student staff. At a time of uncertainty in their private lives because of financial constraints and the general climate of insecurity, is closing down a federally funded support services program and restructuring with a month before the start of fall quarter a wise decision? Furthermore, can this kind of restructuring occur most expediently with a Dean who students feel acted unethically in shutting down the SAAS office? The students and alumni of the SAAS program have created a facebook group to address their plight. In addition, the students have produced this youtube video to express their appreciation and desire for the program to continue. While the closing date of the office is next week, it isn’t too late to express to the UC administration and the US Department of Education Federal TRIO Office Director the dissatisfaction of abruptly changing course one month out before the start of the academic school year. You can reach the Office of Federal TRIO Programs Director Linda Byrd-Johnson at (202) 502-7600 or e-mail at linda.byrd-johnson@ed.gov. And you can e-mail the administration at UC Irvine at chancellor@uci.edu and president@ucop.edu (UC Office of the President). Finally, I know many successful alumni who have utilized the support services offered by Student Academic Advancement Services at UC Irvine. Many of those SAAS Anteater alumni are still in contact with the current program staff and have come back to campus to share their experiences. It saddens me, as an anteater alum, to know that current students will pay more for tuition and receive less, not having the benefits of a program with a proven track record.